Enjoy11 is today one of the leading suppliers of online gaming products worldwide, offering a wide range of first-class online gambling products and games in a safe and user-friendly gaming environment. Enjoy11 has been able establish themselves as one of the most trusted and reliable gaming companies in the market nowadays. Enjoy11 offers its customers a wide selection of innovative products such as Live Casino, Sports Betting and slots games. In our aim to provide the best service online we also offer the unique and exclusive support guarantee, which applies 24 hours a day, 7 days a week. Our support team is available through e-mail, live chat and telephone. Please visit the support section for further details. With a solid product range and unique customer support, Enjoy11 becomes the obvious choice for gaming enthusiasts all over the world! Thank you for choosing enjoy11.com as your preferred choice of online gaming. We hope you enjoy playing with us, and if there is anything we can help you with please do not hesitate to contact us. Enjoy11 Customers must be at least 18 years old and above and agree to abide by the terms and conditions imposed. 2. How to open an account with Enjoy11? Go to "Signup" at the home page of Enjoy11 website and you will be brought to the "Registration" page. Name - Please provide your name as per NRIC. It is important for payment/banking verification purpose. Date of Birth - Please enter a valid date for verification. Email address - To alert you of any important account management notice, product announcement and promotion information. Please ensure that you provide a valid email address that is only accessible by you. Contact Number - Please provide a valid contact number for better assistance and for your account safety. Password - Not case sensitive, must be between 8 to 10 characters and contains letters and numbers. You are responsible to keep your online password confidential. 3. Forget username or password ? You can use our retrieval system to obtain the username to access your account by email to us at support@enjoy11.com or contact our Customer Service Officer via live chat. To retrieve password, you can click on "Forgot Password" and fill in particular details accordingly. Your password will be reset and send via email. 4. What is the supported currencies ? Click on the "Withdrawal" section and fill in the amount that you want to withdraw. Your bank account name must be the same as the name registered with Enjoy11. 6. Is my personal information secure? Enjoy11 will not disclose your personal information to any third party. Your personal details are confidential and we will ensure that there are secured all the time. 7. 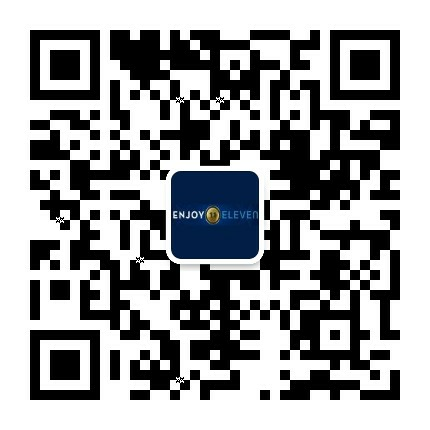 What is the meaning of Wallets in Enjoy11? All deposit go in your Main wallet, which can be used to bet on games, simply withdraw or transfer to Product Wallet to fund betting transactions. Your Feedback is very important to us. We will glad improve our products and services. Minimum deposits are required as a baseline. The smallest amount of SGD30 must initially deposit from your banking account to our Company's bank account. After the fund being deposited, go to "Deposit" section of your Enjoy11 account and send a notice to us. Login to your Enjoy11 account and click on ‘Deposit’. Follow all the steps shown, including selecting your preferred banking/payment option. Once you have completed all the steps, submit the form and notify our customer support representatives via Live Chat. The minimum amount required for each deposit transaction is SGD 30. Login to your Enjoy11 account and click on ‘Withdrawal’ under ‘E-Wallet’. Follow all the steps shown, including selecting your preferred banking option. Once you have completed all the steps, submit the form and notify our customer support representatives via Live Chat. All information transmitted on Enjoy11’s servers are highly secure thanks to state of the art technology that’s coupled with the most advanced security systems and encryption software. No, all withdrawals made must be through the bank account registered in the user’s Enjoy11 profile. The registered names on both the Enjoy11 account and bank account must match. 1. How do I make a transfer? Go to the "Transfer" tab after you have login. Then you will see Main Wallet and other products wallet such as: HG Club and many more. In order to play your desired games, you will have to transfer funds from your "Main Wallet" to the products wallets. And if you wish to withdraw your funds. You will need to transfer the credit from your products wallet to "Main Wallet". Go to "Join Now" at the home page of Enjoy11 website and you will be brought to the "Registration" page. Login to your Enjoy11 account and click on ‘Withdrawal’ under ‘$$$’. Follow all the steps shown, including selecting your preferred banking option. Once you have completed all the steps, submit the form and notify our customer support representatives via Live Chat.